President-elect Donald Trump promised to crackdown on illegal immigration during his campaign. Caitlin Dewey reported in the Washington Post that such a move would result in increased fruit and vegetable prices for Americans.  The Post sought information from the UC Agricultural Issues Center (AIC), a statewide program that is part of UC Agriculture and Natural Resources. UC Cooperative Extension was credited as a source for a chart that accompanied the article that noted the crops most vulnerable to labor-cost change. Asparagus is listed as having the highest proportion of the farms' operating costs dedicated to labor: 82 percent. "The plants must be hand cut multiple times per day during their two-month harvest season," the story said. Other crops that have high labor costs are wine grapes, oranges, sweet cherries, and all types of fruit. The article said berries, peppers, onions, watermelons and apples are also typically picked by hand. A Texas A&M agricultural economist, Luis Ribera, told the reporter he believes U.S. farmers may not be able to produce some fruit and vegetables as a result of Trump's planned deportation of undocumented immigrants. "We had a farm labor shortage even without Trump. Whatever he does will just compound the problem," Ribera said. The director of the AIC, agricultural economist Daniel Sumner, doesn't express dire concern about the potential impact of the Trump administration on food prices and agriculture policy. "I do not see big changes in immigration policy relevant for ag. Except perhaps a guest worker program, which would be positive," Sumner said. "I do not see big deportation of farmworkers coming." Crops that require hand labor are more vulnerable to price fluctuations when immigration policies change. No matter what happens with immigration reform, the United States will likely suffer a shortage of farm labor in coming decades, reported the Washington Post. The story was based on a study titled "The End of Farm Labor Abundance" by Edward Taylor, professor in the Department of Agriculture and Resource Economics at UC Davis, UC graduate student Diane Charlton and Antonio Yúnez-Naude, professor in the Center for Economic Studies at El Colegio de Mexico in Mexico City. Since it is unlikely that another labor pool can be found, and also unlikely that American demand for fresh fruit, vegetables and nuts will decline, farmers could turn in greater numbers to mechanical options, such as shake-and-catch harvesting machines, the study said. Mechanical harvesting of cling peaches. Pending federal legislation that would require employers to check worker eligibility using an system called E-Verify is divisive and unrealistic, writes attorney Dirk Stemermen in his Monterey Herald column "On the Job." "Nothing turns conservative 'growers' into immigrant-rights advocates quicker than obligatory E-Verify use," Stemermen said. E-Verify, which checks information from an employee's I-9 Employment Eligibility Verification Form against government records to determine U.S. employment eligibility, is already in use in Arizona, Mississippi, Georgia and Alabama. Stemermen said that economists at UC Davis and the USDA released a study last month concluding that such crackdowns on undocumented farmworkers raise labor costs as documented workers demand better wages and working conditions. The columnist seems to be referring to research covered in a recent UC Davis news story that said immigration reform and stricter enforcement of current immigration laws could significantly boost labor costs for California’s $20 billion fresh fruit, nut and vegetable crops. 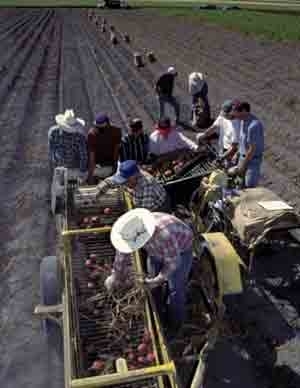 “California’s produce industry depends on a constant influx of new, foreign-born laborers, and more than half of those are unauthorized laborers, primarily from Mexico,” the news release quoted Phillip Martin, a professor of agricultural and resource economics and one of the nation’s leading authorities on agricultural labor. “The cost of hiring these laborers will likely rise as the U.S. government ramps up enforcement of immigration laws by installing more physical barriers along the U.S.-Mexico border and requiring more audits of workers’ I-9 employment verification forms,” Martin says. Stemermen also raised the issue of farmworker overtime pay in his column. 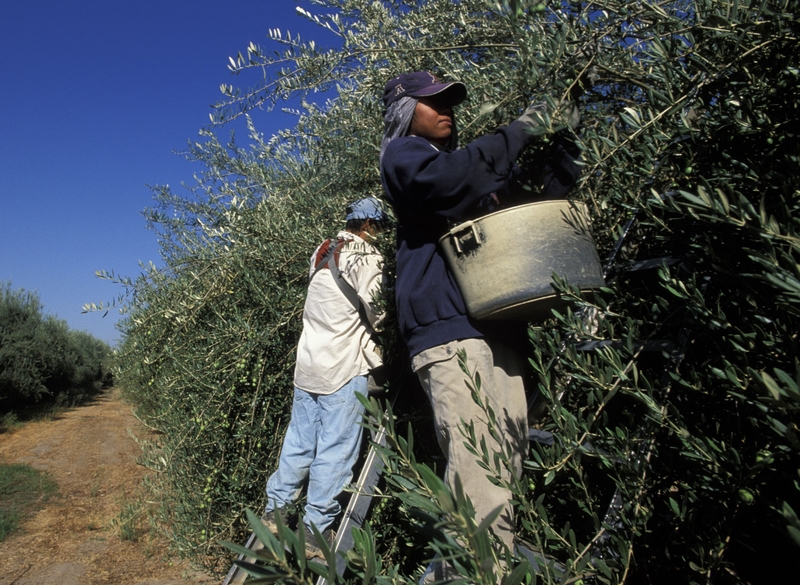 California farmworkers don't receive overtime pay unless they work more than 10 hours in a day or 60 hours in a week. "Verifying employment eligibility through E-Verify or paying California farmworkers more overtime would lead to higher farmworker wages and create jobs for documented workers. But because farmworkers are so poorly paid for the unwanted, arduous work they perform, perhaps a bit of realism needs to be injected into the immigration debate," Stemermen wrote. Farmworkers harvest vegetables in the Salinas Valley. The move toward mechanical harvesting would likely accelerate with strict immigration enforcement. Immigration reform and stricter enforcement of current immigration laws could lead to increased mechanization in California farming and more food imports, reported the Sacramento Bee. 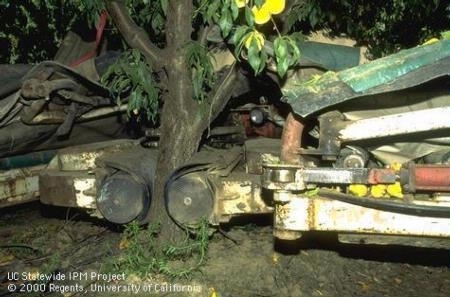 The story was based on research by agricultural economists at UC Davis and the U.S. Department of Agriculture. The report, titled “Labor Trajectories in California’s Produce Industry,” found that changes in the way immigrant labor is regulated in the U.S. would increase the cost of labor for California's $20 billion fresh fruit, nut and vegetable industry. 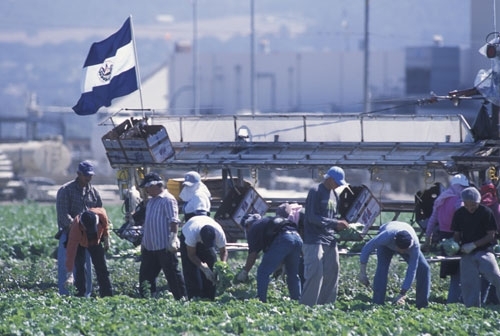 “California’s produce industry depends on a constant influx of new, foreign-born laborers, and more than half of those are unauthorized laborers, primarily from Mexico,” the UC Davis news release quotes Phillip Martin, a professor of agricultural and resource economics. “The cost of hiring these laborers will likely rise as the U.S. government ramps up enforcement of immigration laws by installing more physical barriers along the U.S.-Mexico border and requiring more audits of workers’ I-9 employment verification forms,” Martin said. Read more in the current issue of the ARE Update.